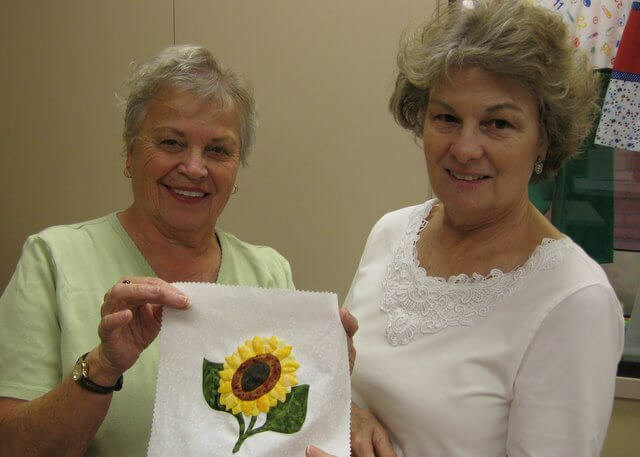 Our group meets twice monthly featuring demos by some of our members, a show and tell portion where we can all see the results of our efforts, a yearly challenge that gives everyone a chance to make a small wallhanging using a chosen theme. This years challenge was to depict the state that we were born in. Next years challenge is “a view through my window”. 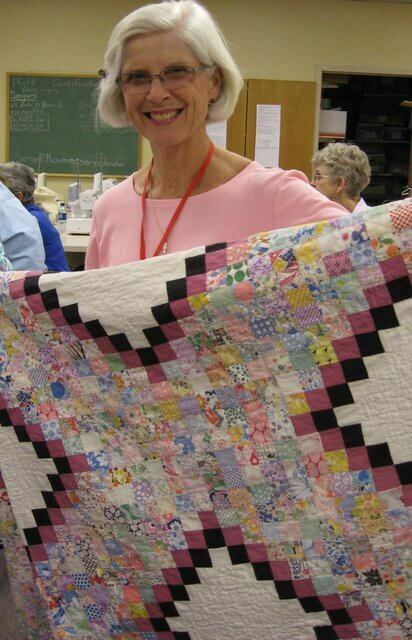 We also have 2-3 quilt classes in the sewing room throughout the year. 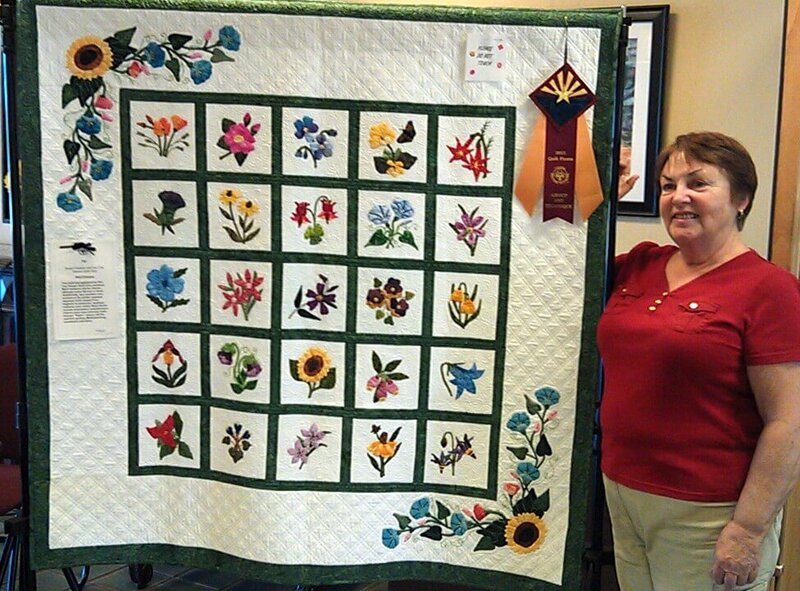 We have an annual quilt show-this was our 14th. 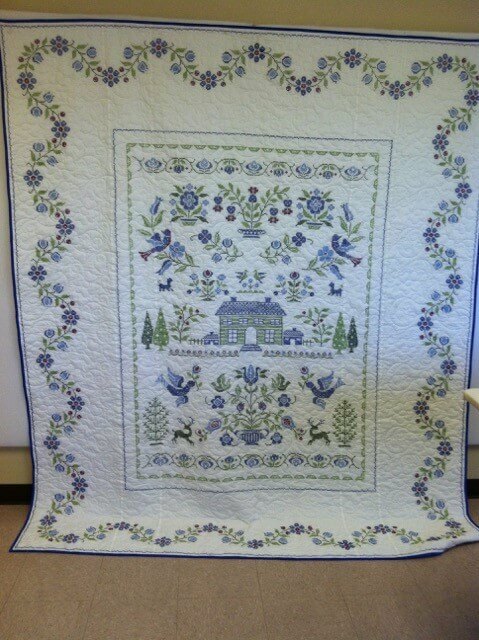 We have 85-100 quilts/wallhangings in the show. Many visitors plan their stay here that first weekend of March when we have our show. Money from ticket sales is donated to charity. In 2015, we were able to give $1500 to Tri Community Food Bank. 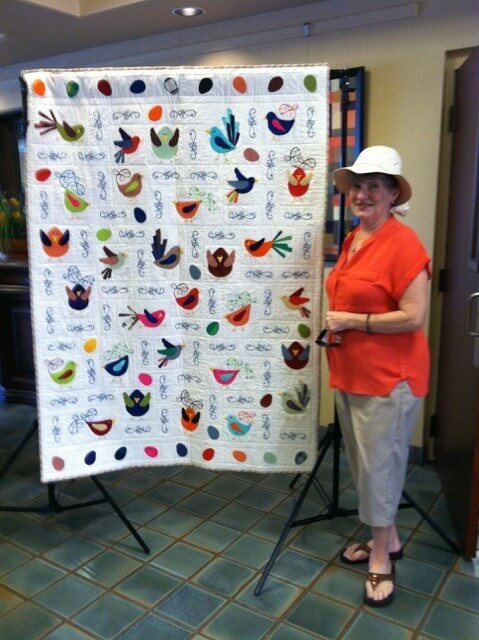 We have taken on another project this year-making Quilts of Valor for our brave servicemen in hospitals. 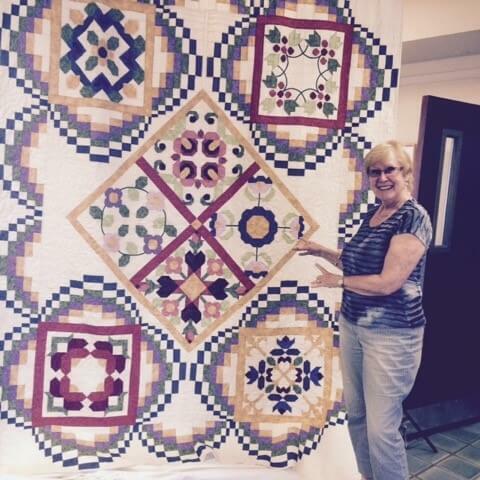 Squares of red, white and blue fabrics are put together, quilted and turned in, to be distributed by the AZ coordinator of Quilts of Valor.